Turn-Again Machine and Welding has been servicing the rock quarry industry from the Arkansas River Valley since 2006. Since then, we have expanded our services to reach nationwide quarries and acquired Cee-Jay Tool Company in 2018. 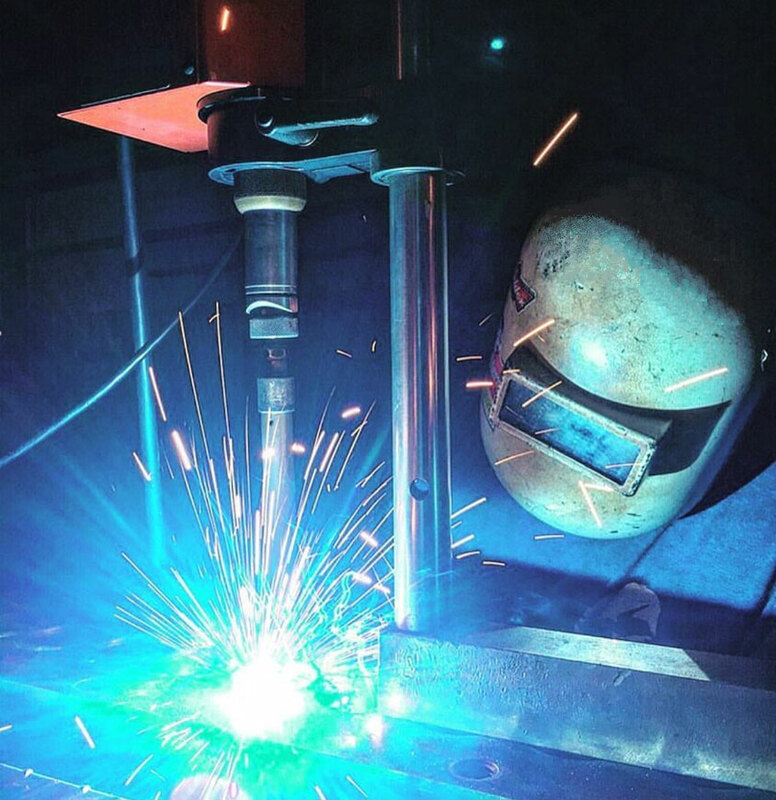 With over 25 years experience in the machine and welding industry, Chris Young and his team can service your equipment or design, fabricate and build custom equipment to meet your specific needs in a timely manner. We understand that time is money to your business and keeping you running is our top priority. TAMW offers parts and custom saws, such as the TV50, as well as innovative machine modifications. TAMW now repairs, maintains and manufactures Cee-Jay machines including the Chris Cutter, Stone Mason and M50. The history of Cee-Jay Tool is one that captures the essence of America’s entrepreneurial spirit. Mr. Chris Jenkins, the company’s founder, identified a market that was not being served. As a result, he developed an innovative and commercially viable product; a hydraulic stone splitting machine called the Chris Cutter. Mr. Jenkins’ vision of the natural fit of hydraulic power for splitting stone, coupled with his intense desire to succeed, resulted in the development of the first fully hydraulic floating tooth stone splitting machinery. Cee-Jay Tool has been building the most reliable, highest quality hydraulic stone cutters & stone quarry machines since 1950. Now part of TAMW, you can expect the same reliability and innovation Mr. Jenkins built his legacy on. As an industry leader, TAMW Cee-Jay’s fully hydraulic stone cutting systems provide the highest quality split stone as well as the best cutting control and wear characteristics on the market. Whether you work as a field mason or operate a full-scale stone quarry or yard, our machinery is designed to be dependable in all working environments. It is our mission at TAMW Cee-Jay to be the world leader in quality, innovation, value and customer satisfaction through the integration of people, technology and business process. TAMW Cee-Jay provides superior stone splitters and stone processing solutions to assist customers in their pursuit of a truly competitive advantage. All of our stone splitting machines are manufactured to be field serviceable with 'off-the-shelf' tools and parts whenever possible. When not, we provide detailed service instructions and specific tooling and parts as required. We also have a field service specialist if you prefer to have us service your machine. Our tight design tolerance, engineering excellence & manufacturing discipline, coupled with simple routine maintenance will provide you with many years of reliable service between major maintenance activities. We are committed to carrying Mr. Chris Jenkins’ (Cee-Jay Tool founder) vision into the future and to building the highest quality stone processing equipment available. We understand how much you have riding on your business and that your success depends upon the quality and reliability of your tools. All TAMW Cee-Jay products are designed and manufactured to provide the highest possible customer value with a focus on safety, productivity, and reliability. We appreciate your interest in TAMW Cee-Jay and invite you to learn more about our products by contacting us for more detailed information or to arrange a personal demonstration.